SANTA CLARA — Four teens on their way to school Friday were diverted after the driver was unable to negotiate a curve on Pioneer Parkway in Santa Clara and instead lost control and rolled off the right shoulder. Just after 8 a.m. emergency crews and officers were dispatched to a reported rollover on Pioneer Parkway just east of Harmons grocery store, Santa Clara Fire Chief Dan Nelson said. 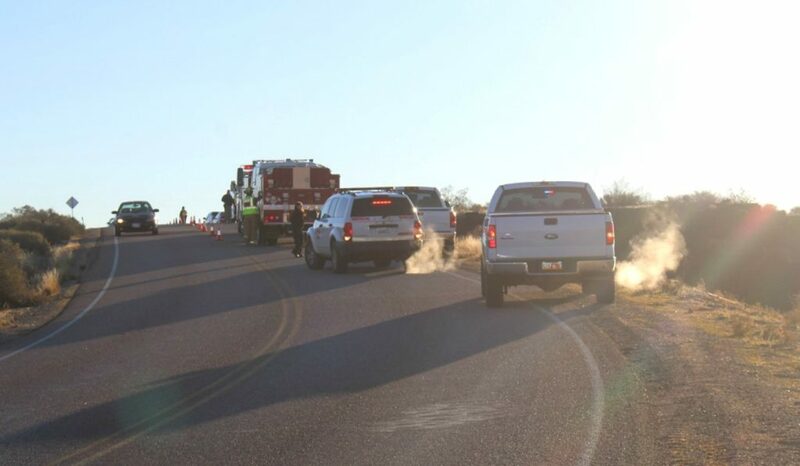 Upon arrival, officers found a green Saturn four-door passenger vehicle off the right side of the road sitting perfectly on its side, with the passenger side facing up. The driver told officers that as they were driving east on Pioneer Parkway, they approached a hill while the windshield was still defrosting, Nelson said. Just before hitting a curve in the road, the sunlight hit the windshield, and the glare combined with the lingering moisture still on the glass and made it impossible for the driver to see. The driver couldn’t see the upcoming curve in the road and lost control of the vehicle as it swerved onto the right shoulder, Nelson said. 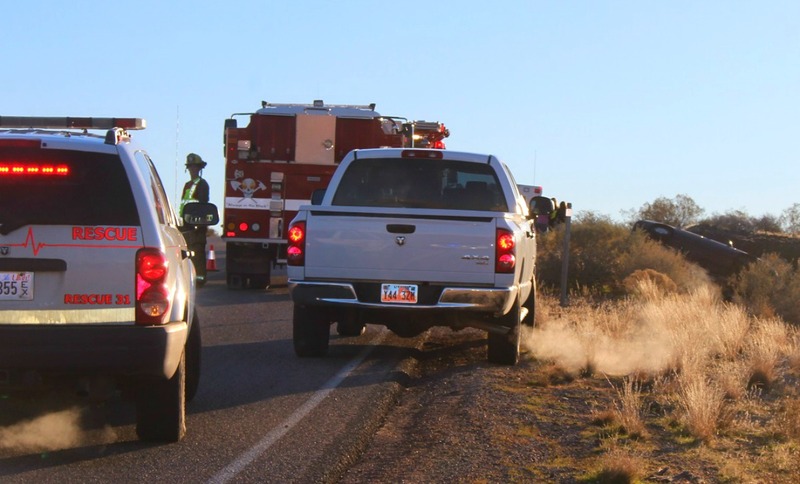 The driver then overcorrected to the left in an attempt to bring the car back onto the roadway, but instead the vehicle rolled one time and came to rest with the driver’s side smashed in between lava rocks located several feet from the roadway. 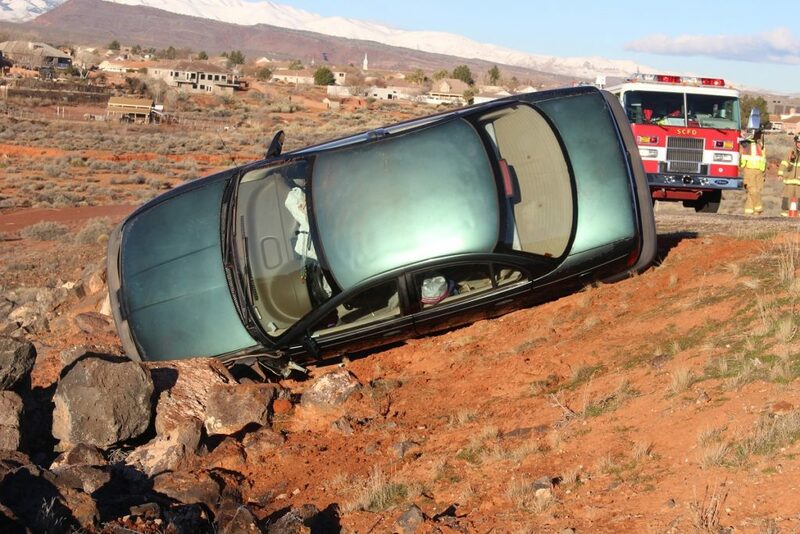 All four occupants were able to climb out of the vehicle on their own, at which point they called for help. Once firefighters were on scene, they checked all four teens for injuries, Nelson said. No injuries were reported and all patients refused transport, he said. 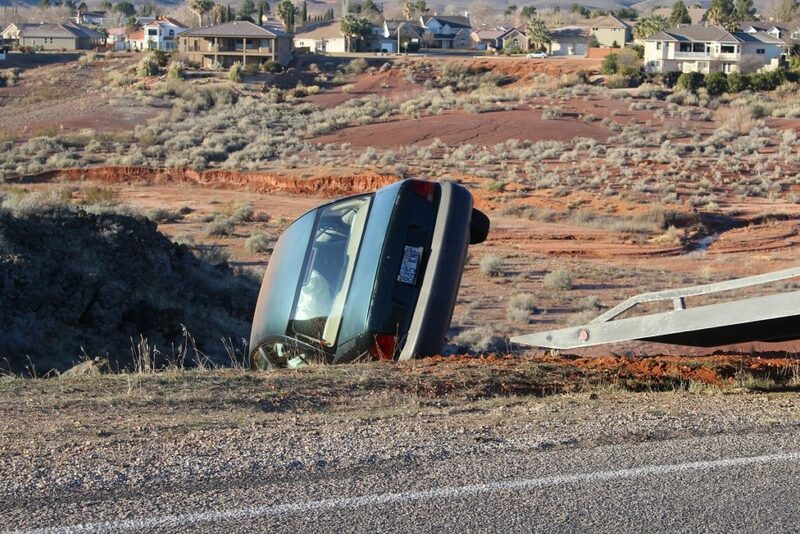 The Saturn suffered extensive damage and was pulled upright before it was towed from the roadway. All occupants were wearing their seat belts at the time of the crash, Nelson said. I hope the driver received a citation for driving with an obstructed windshield. I see many young drivers that don’t take time to clear their windshield. He’s lucky his negligence didn’t cause injury to his passengers and himself. Complete idiots. The youth are our future folks.